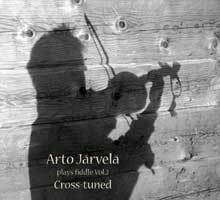 Arto Jarvela Plays Fiddle Vol. 2 prsetns another round of great solo fiddling from the Finnish musician, this time in a set of 'cross tuned' or open-tuning pieces . These include traditional and pieces composed by Jarvela.